Jan enjoys getting involved in activities at Springmoor that allow her to socialize with neighbors, like the library and convenience store. Many residents visit these two places regularly, allowing Jan to learn the names and faces of new people, as well as catch up with the people she already knows. She even jokes that she holds up the tours of first-time visitors, because she loves extending a warm welcome to everyone she meets. “It’s important to me to make people feel welcome,” she explained. 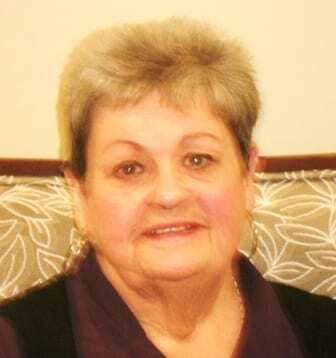 Before Jan moved to Springmoor, she was living far away from her family in a small college town in West Virginia. She realized that living there wasn’t providing the level of security she wanted or helping her to maintain her active lifestyle. She had struggled with a few health problems in the past, and wanted to make sure that if she were to ever have more health problems in the future, she would have access to the care she needed. Jan started shopping for a retirement community in Raleigh, where one of her three sons lives. Then, Jan and her son gathered a list of six retirement communities in Raleigh and visited each of them together. Springmoor was the second community she toured, and it quickly set the bar for the rest. Not every community she toured offered a continuum of care either, which was one significant factor in her decision. Springmoor offers a full continuum of care right on campus that includes assisted living, skilled nursing, rehabilitation and memory support. This continuum of care ensures that residents will always have access to the level of care they need, without having to move to another community in the future. It empowers residents to live without worry, knowing they have priority access to care from a provider with a strong reputation. Jan made her final decision after comparing Springmoor to the five other communities she visited. Thanks to Springmoor’s welcoming residents, beautiful location, reputable continuum of care and friendly, expert staff, Jan decided that Springmoor was the place for her. She added her name to the waiting list and received a call several months later telling her that her desired residence became available. She visited Springmoor once again to select her apartment customizations and upgrades, and to start the process of becoming a resident. She chose her flooring, paint colors and cabinets; selected upgrades to the appliances; and added ceiling fans. After her custom touches were complete, Jan moved into her new apartment home. Jan quickly became acquainted with the friendly faces around her, and she didn’t hesitate to become more involved. She now also serves on the Springmoor Residents Association, helping to channel the residents’ voices and opinions to leadership and management. She also enjoys the events and activities at Springmoor, including concerts, trips to local restaurants for lunches and dinners, day trips to area attractions and more. Thanks to the many services Springmoor offers to residents, Jan enjoys a maintenance-free lifestyle, freeing her time so she can spend it with others. Come see why Jan and so many others love it here! Give us a call today at 919-651-4844, or visit us online here to request a personal tour and appointment.